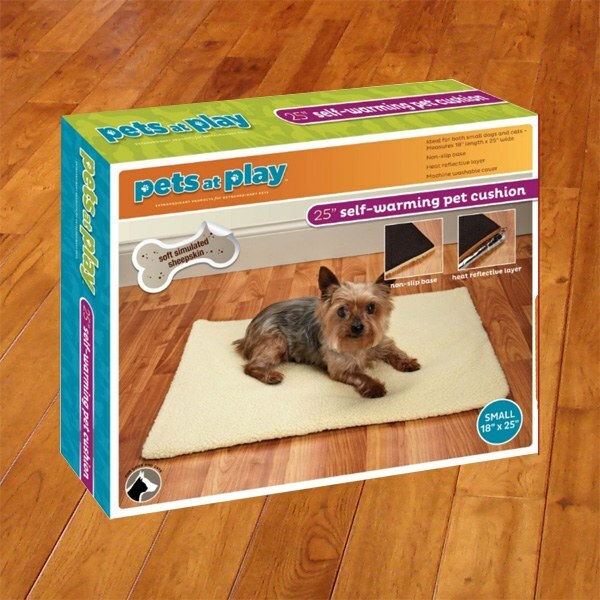 Make your pet comfortable with this cozy Self Warming Pet Cushion featuring a thermo-reflective inner layer that radiates warmth back to your pet, a soft simulated sheepskin cover and a non-slip base. No cords to plug in and zero electricity costs. Machine washable cover. Measures approximately 18" x 25"